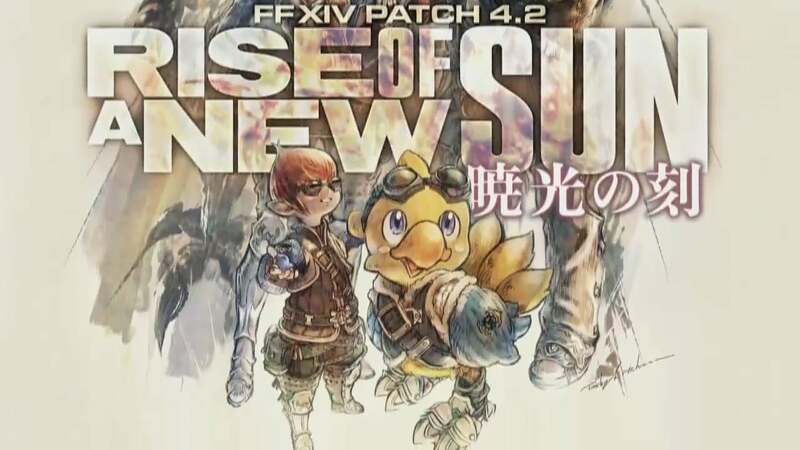 New story quests, side missions, dungeons and raids are always nice, but the coolest changes coming in January's "Rise of a New Sun" update to Final Fantasy 14 involve more inventory space, new ways to store special outfits, and new ways for Bards to rock out. As excited as I am for fresh content coming to my favourite massively multiplayer online role-playing game, I'm also dreading the idea of having to clean out my bags every couple of hours as I work through it all. Two big changes to inventory space announced last night during the game's "Letter from the Producer" presentation made me feel a lot better. First off, the amount of items players can stack in one inventory spot has been increased 10 times over. Previously you could only have 99 of a single item in any one inventory space. Now you can have 999. That's 999 fish. Nine hundred and ninety-nine health potions. Nine hundred and ninety-nine bits of lumber for crafting. It's going to make crafting and gathering so much easier. Second, note the bottom item there. Player mounts will now have saddlebags, adding an additional 70 inventory slots. These won't be accessible from within instanced dungeons, but they will be a boon for wandering the wilds of Hydaelen, picking up random crap. Final Fantasy 14 has a ton of amazing outfits for players to wear, but transforming ugly-but-fictional armour into something stylish is a bit of a chore. It involves something called glamour prisms, which must be crafted and of the correct type and... ugh, I'm getting a headache just thinking about it. 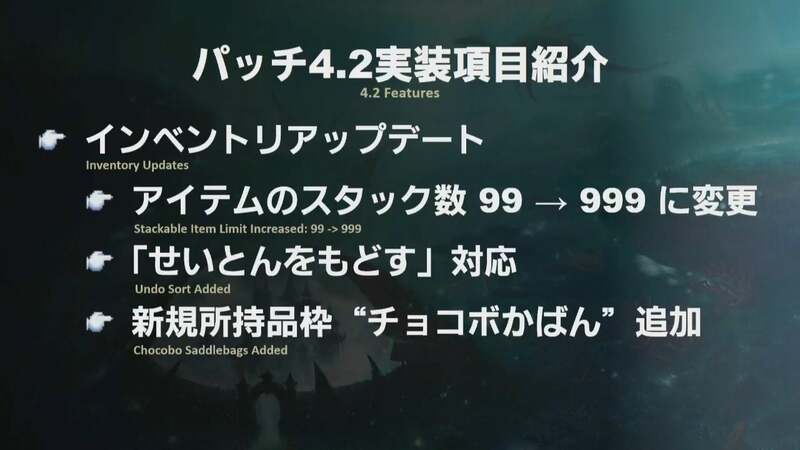 Update 4.2 makes things easier with Glamour Commodes, which is a filthy-sounding term for a good thing. 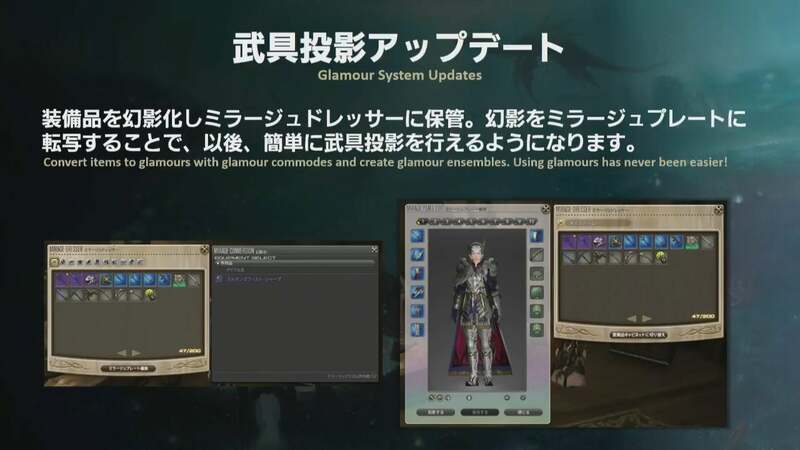 Players will be able to convert items into glamour more directly using these Glamour commodes, storing up to two different looks for each item type - weapon, chest, hat and so on. 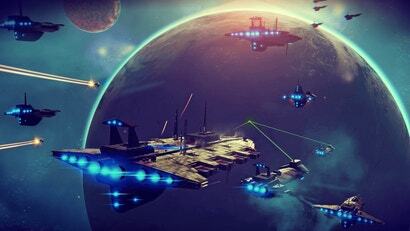 Players will be able to save ensembles, ready to apply. Dressing how I want to dress will finally be simple. I might cry. Finally, we have great news for Bards. Following the introduction of Performance Actions last month and the wonderful music players have been creating, Bards are getting a brand-new interface for composing their masterpieces. 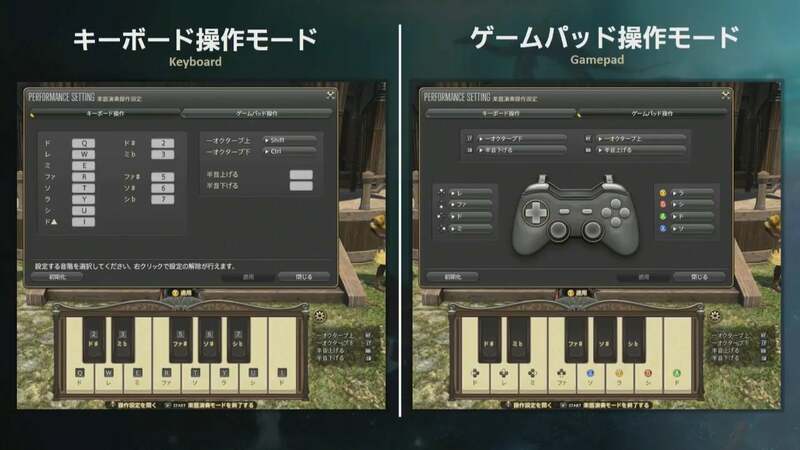 The piano-style layout will be accompanied by four new instrument sounds, bringing those dreams of a Final Fantasy 14 in-game symphony closer to fruition. 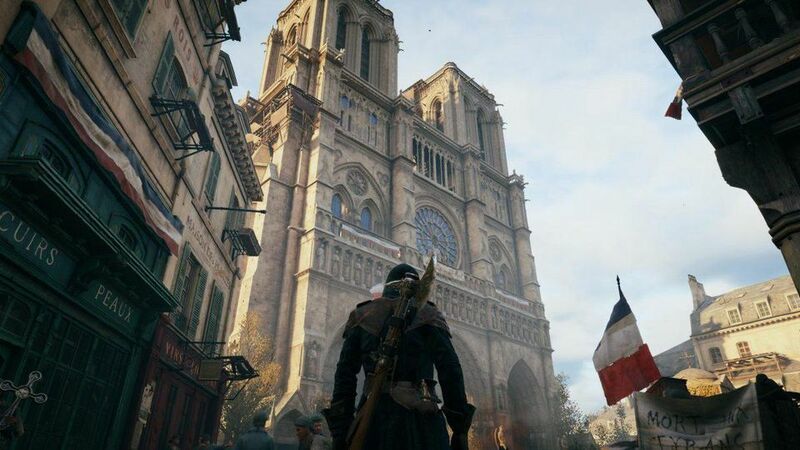 All this, plus more housing (thank goodness), PVP changes, and a duty recorder that allows players to record their dungeon runs and play them back using the game engine. Oh, and all of that questy, raidy stuff. You can watch the entire presentation below, or hit up The Lodestone for the CliffsNotes. Actually Hydaelen is the name of the Mother Crystal and the planet/world! Eorzea is the name of the continent, where the 4 city states reside, Uldah, La Noscea, Gridania and Coerthas. Othard and Ilsabard are the other two continents.